Dennis Courtney - Call on Dolly! Dennis Courtney : A Proactive Director to the Nth Degree! Dennis’ love for Hello, Dolly! goes back to his affection for the Louis Armstrong recording of Dolly. He remembers hearing the song on the radio and frequent appearances of Carol Channing on television specials. His parents thought she was very funny. As a kid, Dennis thought she was fascinating. She was funny in a way that a child would think somebody is funny. She was wonderfully animated. He couldn’t take his eyes off of her. Being 54 now, Dennis is from that same age group that grew up on variety shows and specials. He was a big fan of these shows. Being from Michigan originally, there wasn’t a lot of theater. He went to the movies. The next time he saw Channing was in the film, Thoroughly Modern Millie because he was a big fan of Julie Andrews from Mary Poppins. All of a sudden there was that funny wild lady from all those television specials. He thought she was a scream in that movie. Then, he went to a friend’s house for the weekend and they had cast albums. He realized that they looked like movie soundtracks, but they were BROADWAY. 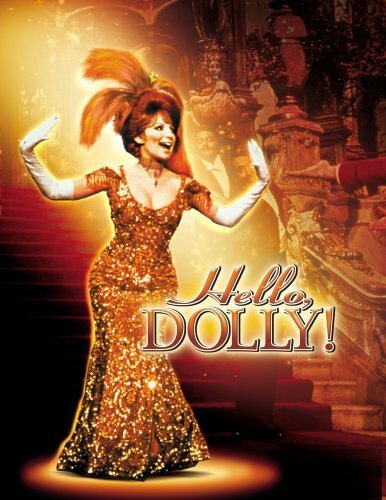 Among the Broadway albums they had were the original Hello, Dolly! 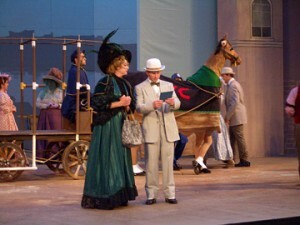 and the original My Fair Lady. His friend played Hello, Dolly! for him and he put together that it was the same lady from Thoroughly Modern Millie and television and that song from Louis Armstrong. All of these fragments started to make sense to him and he knew what the root was. Not growing up in New York and an exposure to the theater, that’s how he discovered Broadway…because of a pile of cast albums that a friend’s family had. He knew the name Carol Channing. 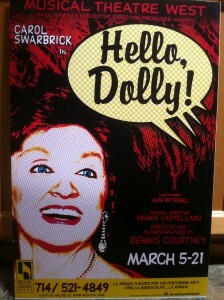 Dennis Courtney had an interesting journey to Hello, Dolly! Going to school in Cincinnati, he knew Lee Roy Reams, also from Cincinnati, who was playing Cornelius Hackl in the 1978 tour and subsequent Broadway revival of Dolly. When Dennis arrived in New York to pursue a career in 1978, Lee Roy referred him to Charles Lowe, Channing’s husband, and Dennis was hired to help lead the applause in the audience! He was paid twenty dollars a show which added up nicely with eight shows a week! He saw the show easily fifty times along with his roommates who were also hired. This was the first job that sustained him in New York, applauding for Carol. He continued to do this until he got his first acting job several months after getting to New York. It never felt like a job to him. He enjoyed it every single time. For Dennis, it was her unwavering moment to moment one hundred percent commitment to EVERYTHING she did on stage all in her mind, body, and voice. She didn’t even room for doubt. She is a great under rated actress. She, unfortunately, was stereotyped. When you become that famous for something, that’s the price you pay. It becomes so hard to break out of it. When she plays Lorelei or Dolly, Carol plays it “dumb like a fox.” He loves the fact that there is a wink in her performance. He also saw Dorothy Lamour play Dolly. He didn’t think she was so great in the role. He didn’t feel that she owned the role. There was a certain reserve there. She exuded a different aura for him. When he saw her do it, he didn’t think she was that woman ahead of her time. He also has mixed feelings about Barbra’s approach to Dolly. He doesn’t want to jump on that band wagon of “oh, she’s so not right for it. She’s too young.” What he did like about her is that she did bring out the Levi part of Dolly. He feels, however, that the “Gallagher” part is important to the story. She brought the meddlesome aspect as a root to the role. He didn’t buy the fact that she was at that point in her life where she needed to make those choices. Where are the stakes when you are twenty-five years young. When he was twenty-five, he thought the stakes were higher. Obviously, hindsight proves that they are higher now. Carol Channing herself admits no one could sing those songs like Barbra. Everybody has brought their own flavor to it. There is no one like Carol Channing. It is so ingrained as an iconic role in our DNA. As a songwriter, Dennis believes Jerry Herman to be a genius. Each and every song that he has ever written is memorable. Every song has a point of view. Each enters and exits dialogue perfectly. Dennis has also met him several times and he could not be more gentle and soft spoken and kind. He reminds Dennis of his leading ladies: his optimism and his fight for life. He’s had his own struggles surviving. Later directing it, he could remember emotionally moments from the show. He so loved it back then. 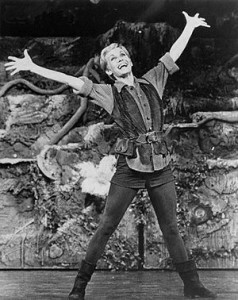 The transition from acting to directing came as a result of Dennis’ first major job in New York, Sandy Duncan’s Peter Pan 1979-1981. Continuing on, he was still doing a lot of acting in 1996. Cathy Rigby was getting ready to do her first production of Peter Pan. Dennis was working at a theater in California at the time. The producer of Peter Pan came to Dennis and said that Dennis should direct that show. Dennis’ first response was that he was an actor and did not direct shows. It was handed to him! Martin Wiviott , a mentor of Dennis’, just had faith in him. Dennis asked Martin why he felt Dennis should be directing the show. Martin said that he had observed Dennis as an actor and that he was so detail oriented. At rehearsals, he noticed that Dennis never stopped asking questions. That’s what directors do, plus he knew that Dennis knew Peter Pan very well. After directing Peter Pan and having it become what it did, the directing career took off for Dennis. From time to time, Dennis will still act, but directing is his calling. That’s really what he is supposed to do. From that point on, he has basically been a director/choreographer. Paul Garman, who is the artistic director of La Mirada Theater for the Performing Arts, asked Dennis to come out and choreograph West Side Story. Dennis told him that he was no longer just choreographing. He was only interested in directing/choreographing. Paul said ok. Dennis went out to do West Side Story and while he was out there, Paul asked if he would come out to do the next show, Hello, Dolly! There wasn’t even a question in his mind. He had directed almost every other chestnut of Broadway. He was ready to take on Dolly! There was a shift in his perception from being an audience member to director. Being an audience member informed him emotionally of what Dolly’s arc was, of what her journey was as a human being. I am” exercise. Every character in that show wants something desperately. Every single person wants something in the most life affirming way. The leader of that is Dolly. She’s ahead of her time. This is the turn of the twentieth century where women didn’t behave the way Dolly does. In 1964 when Carol first did it, women didn’t behave that way. They were still coming out of that Norman Rockwell era. Here is this pro active woman of an indeterminate age saying, “I’m going to take charge of my life.” That is amazingly progressive thinking. It is still progressive today for some women. This show says it is never too late to take charge of your life. In the meantime, you can use humor and heart. So, all of these women came in to audition and they could either sing it or act it. Their acting was really wonderful but they couldn’t handle Jerry’s score. The producers were getting a little flustered. They told Dennis they had to cast somebody! Why not a “name”? Dennis insisted that it had to be somebody who could handle the material. Carol Swarbrick’s name came up because she had done a lot of leads in the Los Angeles area. She was a leading lady that Dennis had actually seen on stage a lot doing a lot of comedic roles. 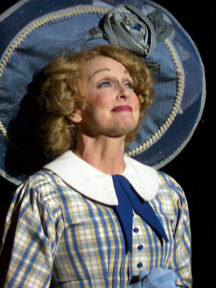 She had played the “Dorothy Brock” type of roles. His first instinct was only if she was “directable” because he knew that she, like the rest of us, had her “bag of tricks” that we go to when we are not directed well. Swarbrick came in and sang it so well that he put Love, Look in my Window in this production. The first time that he met with her, he told her that he wanted to get to the heart of this woman. There were so many Dollys prior to Swarbrick that had put their own stamp on it. He did not want her to be any of these women. She had to be uniquely herself and trust that Dennis would allow her the freedom to be her best. Throughout the process, she thanked him often. What does Dolly really want? Dolly has been portrayed as a woman who meddles in other people’s lives. That is apparent in the script. Dolly, like every other character is searching for that love before it is all over. “I’ve got to get some life back into my life.” If you don’t have that as her main need and want, the show won’t touch you. Dennis went back to The Matchmaker for his inspiration. He has not read any of the scripts that led up to Dolly. Thanks to this interview, next time he will. It doesn’t change the words on the page but it does inform the actors and director as far as its history is involved. Swarbrick ended up being sublime in the role. “She was just fantastic and nailed every laugh.” When Carol Channing did it, it was not shtick. Everything she did using her funny-isms: the sound of her voice, the ups and downs of the cadence, her timing…all of it was uniquely hers. When someone imitates that, it is not authentic. It’s flattering. It may be a beautiful impression, but for Dennis, as a director, he wants someone who will make it authentically theirs. It has to be as though he has not seen it before. Jack Ritchelwho played Vandergelder brought a huge love of life to the role. You knew in Ritchel’s portrayal that there was a man desperate to be loved. That is the secret to Horace Vandergelder. If he’s not likable, you’re not rooting for him. You’ve got to root for him. Dennis says he will never ask an actor to try and be anything they are not. He uses Irene Molloy as an example. We know what she wants. We know her age. We know the difference between the way Eileen Brennan sang it and the way Flo Lacey sang it. We know that there are a lot of approaches on that. He would never say to an actress, “Can you go and listen to the cast album and try and recreate that sound?” He would never say, “Can you give me more of this?” Instead, he will ask, “What does this character want right now?” Why is she saying this line? If this were you, how would that affect you? That gives them a point of truth. Then he tells them to take that point of truth and apply it to this year, to this person, to this situation. If someone is not “perfect” for a role, don’t make them aware of it or they’ll become self-conscience. You need to create a scenario that works on a better part of them. If you have an Ernestina Money who is not naturally funny, but is rotund, but has things about her that are amusing, Dennis will go there instead of the traditional. Sometimes the traditional may look grotesque on others because it is not really theirs and they don’t know how to do it. It ends up being a commentary on it. It’s a hat on a hat. Then it becomes embarrassing for the audience and it becomes embarrassing for them. 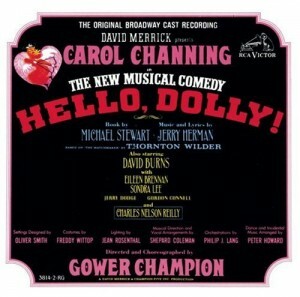 Dennis has only directed one production of Dolly but he would LOVE to revisit it. He wishes, knowing what he knows now, and what has happened over the past twelve years since he last did it, he would push even further on showing how far ahead of her time Dolly Levi is. He would like to show that strength coming through even more so. The strength comes through with the confidence especially when she is in the hat shop scene when she is maneuvering everything. He was aware of it then, but now, he would go even further as a metaphor and an analogy of how she moves through life, on how we all move through life. With every project that Dennis takes on, he looks at the “why”? Why is this story here? How is he going to do it? When you ask the “whys”, the “hows” present themselves. “Why” did Jerry Herman want to do this? Why did David Merrick want to produce this? We know the logistic whys, but why? What is it that the audience takes away? Now, that Dennis understands, forget about the actors that are on board who understand, once we know why the piece is so brilliant, you will have endless hows. How do you do this? How do you sing this? How do you deliver this line? That’s when you trust the actors and they bring their uniqueness to their roles. The longer he directs, the more he trusts that instinct and the less that he tries to control a result. When you have really great material, you don’t have to. Dennis would say that Dolly! 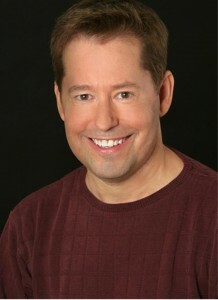 is in the top five productions he has directed over the years. Directing Dolly was a “full circle moment” for Dennis. When the curtain opened and Carol Swarbrick made her first entrance, and the audience immediately applauded, it took Dennis immediately back to 1978. He was crying watching it and thinking, “Oh my God! This is something I’ve been honored to direct.” He has done so many shows in which he thought it was a great experience. In some cases, he got paid a lot of money or he got along great with the cast, but he didn’t think it was an “honor”. In the case of Dolly, he considered it a great honor because of how it spoke to his life. He loves Jerry Herman. He loves his optimism. He loves the importance of that attitude and he believes that Dolly Levi exemplifies that more than any other female character, probably even more so than Mame. Dennis approached Dolly from both the point of view of Gallagher AND Levi. She was Mrs. Levi when dealing with business. In her personal life when dealing with her loss of Ephraim and in dealing with Horace, and especially as the arc goes on, she becomes more Dolly Gallagher. In essence, that’s who she truly is inside. There is a reason why she is called both in the show. One is the inner person and one is “here’s my card”. Eliminating that lost something in the transference to film. Regarding the famous eating scene, Dennis had a mapped out approach to the scene but also allowed Swarbrick to find her way. That scene has a lot of business and is integral to the story telling. There are also a lot of lifelines meaning, “We have to be HERE by this point”. He had Swarbrick do the scene without all of the “stuff” so that they wouldn’t lose the scene. What Dolly is really doing is seducing Horace in her own way and taking total control of the situation. “You salt your beats and I’ll salt mine…ect.” They did the scene first, then they started to implement the comedy because it is very much exclamation points and punctuation. The beets, the dumplings, the “you go your way and I’ll go mine” are all iconic and you cannot do the scene without those elements. According to Dennis, Swarbrick got the longest laugh he has ever heard in the theater when the Judge’s docket scene came on and Dolly was still eating. That laugh went on for several minutes. It was not just “I’m not done yet.” It was “I’m not done yet. I’m still not doing. I still need a few more minutes. One more minute. I’ve got heartburn. “ It went on and on and he saw her comic genius. He didn’t stage that. That came from Swarbrick. That was just roll with it and as long as the audience was there for her, she continued. Dennis emphasizes once again that what he brought to this production was HEART. He made sure that no one went anywhere near stereotypes. Once the show opened, Dennis moved on to his next project two days later which is good and bad. You don’t want to leave your creation behind. His favorite memory of that show was the first time the chorus came out on stage for Sunday Clothes. It was the first time they were able to do it off book. It was the first time the show looked like something; the first time the show went from the left brain to the right brain…that point where the show takes over. Dennis always directs in sequence. It’s crucial to him. He’s kind of method-y. He feels that if you don’t have one true moment, you can’t have a next. That’s why film drives him crazy. How do you go to the end without experiencing the through line. Dolly’s first entrance, Sunday clothes, Dolly coming down the stairs, the ultimate, are all high points for Dennis, also the chorus welcoming her home. The one thing that Dennis adopted from directing this show that he has carried forward throughout the rest of his career is SIMPLICITY. The genius of Gower Champion lies in the space created to give the audience a place of understanding. He has carried this through in his timing and choreography, moving from one scene to another at a clip. It doesn’t allow the audience to get ahead of themselves. It doesn’t go by so quickly and so over staged and choreographed that we can’t enjoy the moment and feel it. The show just keeps getting better and better as you watch it. Gower didn’t need to do a thousand variations on what he was doing. With bad choreographers today, everything is over choreographed. When he was directing Dolly and he contemplated making some numbers busier, he was drawn back to why he loved the simplicity of it. He carries that with him to this day. The worst experience for Dennis on Dolly was just technical stuff, not being able to move to the next scene as rapidly as he would have liked. They worked hard on that. As the director of a show, you have to instill morale. When the morale suffers, the product will suffer. People will stop putting their hearts and souls into it. They had these wonderful numbers but as far as the technical aspects were concerned, the scenery was so large and there wasn’t enough crew and the show was starting to lag. It got to the point where Dennis’ requests were not really being listened to. The crew was starting to get tired. It was the best they were going to do. He said to the crew that this attitude was not worthy of this show. They had to make this work. If anything lags, you lose your audience. Even if they don’t physically leave, they leave. You end up working doubly hard to get them back. They worked it out but it was a little rough getting to that point. 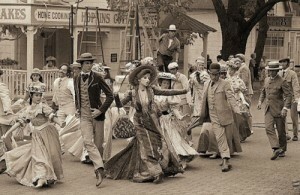 Staging the title number, Dennis gave a true homage to Gower’s original concept. He feels that anyone who doesn’t would have to be pretty arrogant not to. He is not saying he took all of Gower’s choreography or that he didn’t take all of his staging. An homage is a “in the style of.” It is an iconic vision of the original. He currently has a production of Fiddler running in Israel in which he paid tribute to Jerome Robbins. He is not using Robbins’ staging but much is attributed to that. When he directed Swarbrick, he allowed her to deal with the waiters in different ways. There are certain places where she talks to Louis and Harry and it tells you in the script that she sits on his knee, etc. He allowed all of that business to be organic. All he asked is that Dolly and Rudolph and all the waiters had a history. They are not singing “It’s great to see you for the first time.” That’s where, as a director, you can put your stamp on things. “Yes, of course, we are going to do our homage to Gower.” She has to come down the stairs. She has to wear the red dress. Everybody wants that. While we are doing our own interplay of characters, we can create our own relationships. Dennis is the type of director that is constantly giving pep talks to his cast. He remembers saying to his cast that there will be a day that will come to all of them, maybe now, maybe later when they will realize that this isn’t Rent. Rent was all the rage then. They had to understand that just being in this show was a part of history and for the rest of their lives, they would know that that production meant something to them and they learned so much. This show was put together by masters. He encouraged them to just delve into it wholeheartedly with every ounce of their being. He told them that they were going to learn so much from this experience. Having just seen Marcia Milgrom Dodge’s production starring Vicki Lewis, I asked him for his thoughts of Marcia deciding to move away from the traditional iconic Freddy Wittop inspired gown for a very untraditional green silk kimono type dress. It bothered him to the point that he didn’t think the costuming was true to the period. He understands that Marcia’s reasoning was that she didn’t want the women bound by the corsets of the day. However, that’s like saying it didn’t happen. Being a director himself, he knows that the choices that are made are thought through. They mean something. Dennis also went to high school with a Dolly, Vicki Lewis. He loves her! He recently saw Vicki do it at the Maltz Jupiter Theater in Florida. He was working in Florida at the time. He saw it on his day off the first week it was playing. He enjoyed it mostly because he loves Vicki so much. It was directed by Marcia Milgrom-Dodge, who he is also a fan of. He feels that Vicki in that role found her feet as it went along. Dennis originally got his Equity card with the Sound of Music at the Beef and Boards Dinner Theater in Indianapolis in 1978. When Dennis got his Equity card, it meant that you were going to be working with “professionals”. That was an honorable thing. The union has made so many concessions over the years that now, there are national tours that don’t have one Equity member in them. America is now being sold a bill of goods in which they think they are seeing a “national tour.” People think they are seeing a Broadway company on tour. It bothers Dennis that these days, it doesn’t have the same cache. You no longer have the assurance that you are seeing a first class production just because it is listed as a “national tour.” On the other hand, the plus side is that we have advanced as far as technology is concerned. You can now create so much more magic on stage. That is two sides of the business. One Dennis likes, the other he doesn’t. As stated earlier, Dennis left the show after the second performance for his next project. He wasn’t totally satisfied with this production. He never is with any production. He was thrilled with it and he knew in the run it would grow. Dolly has always meant to Dennis, and especially at this point in his life revisiting this as a director, that it is never too late to get back in your own parade. We have the choice every day of being reactive or pro-active. Dolly Levi is proactive to the Nth degree.